Harry E. Betke, 74, of Georgetown, died Wednesday afternoon, June 13, 2018, at Good Samaritan Hospice, Beaver, with his family at his side. Born March 20, 1944, in Beaver Falls, a son of the late Alfred E. and Louanna C. (Barkley) Betke, he was a retired coal handler with Applied Energy Services of Monaca. A veteran of the U.S. Army, he had served during the Vietnam Era. He was member and past commander of the Hookstown American Legion Post 952, a member of the Legionnaires, and a member of the Hookstown American Legion Riders. He was a Catholic by faith and a motorcycle enthusiast who loved riding. Surviving are his wife of 50 years, Joyce A. (Palka) Betke, whom he married June 1, 1968, and his sons, Joe and Jeff Betke, both of Georgetown. He was the brother of James Betke of Augusta, W.Va., Roy Betke of Chester, Wanietta McNeill of Shippingport, Wanda Roberts of Aliquippa, Jean Gray of Ohio, and Pat Hawkins of Hopewell Twp. His beloved grandsons are Bradley Lewis and Tyler Betke. In addition to his parents, he was preceded in death by brothers, George, Carl and William Betke. 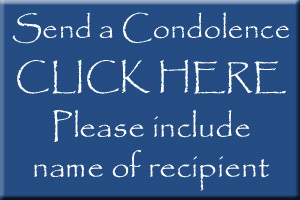 Family and friends are welcome to call Tuesday from 2 to 4 and 6 to 8 p.m. at MCCONNELL FUNERAL HOME, 447 Pine St., Hookstown, PA 15050, where a blessing service will be held Wednesday at 11 a.m. with Father Michael Yaksick, of the parish family of St. Blaise, Midland, officiating. Entombment will follow with military honors provided by the Beaver County Special Unit at 12 noon, in the Mount Olivet Catholic Cemetery, Hopewell Twp.